Medium and Large designs respectively. You may have other hoops that will work, too. will show you how you can do just that by making a board, game pieces, and a carrier. 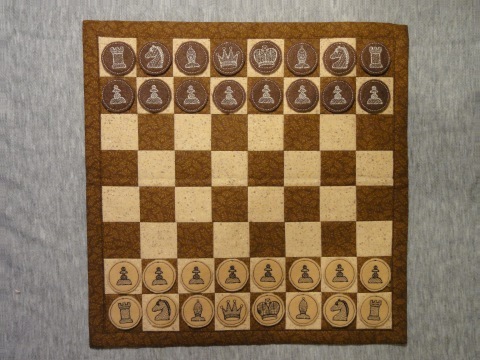 pictures of a chess set I just made. traditional colors for this set! receive the instructions to make the pieces, the game board, and the carrier. sets have a few spare pieces. Click the following links to see the available design sets. the individual pieces and the outlines, I change to the cutwork needles to finish the designs. The cutwork needles I use are made by Inspira, and are sold by Viking and Pfaff dealers. for each part of the circles. The arrows in the next picture point to the secure points. I have been asked a few questions privately about the design set and thought I'd share the answers in case anyone else was wondering the same things. The game pieces are about 1 1/2" in diameter. That is the same for all design sizes. 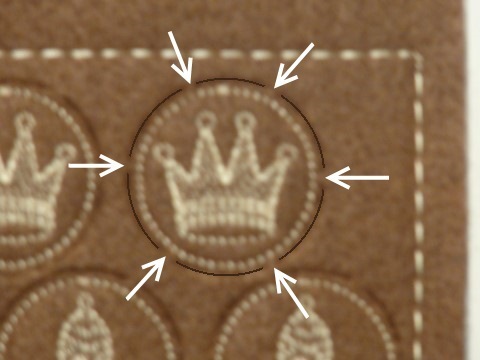 The Small, Medium and Large sizes refer to the arrangements of pieces for embroidering. See the note at the top of the blog for the corresponding hoop sizes. 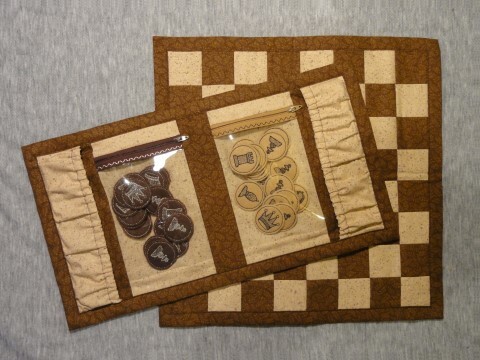 The instructions included with purchase cover the embroideries, the chess board and the carrier. Hi! 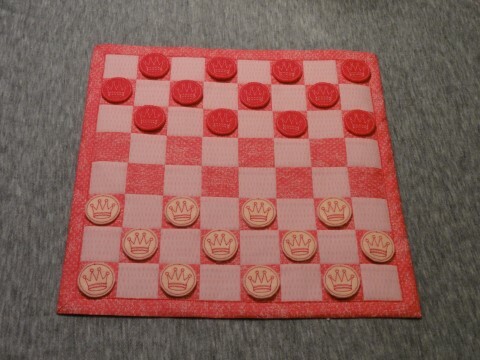 I would love to make this chess board. Is it available anywhere? 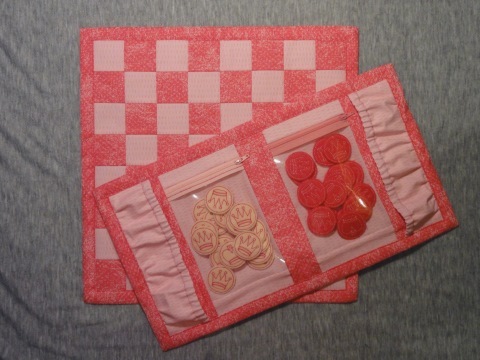 The embroidery designs come with instructions for making the chess and checkers pieces and also for making the chess board and carrier. When you make your purchase, choose to be shown all formats rather than just the one you use for your embroidery machine. You will see PDF as one of the options and will be able to download the instructions and design templates. There are links in this blog for viewing the designs.